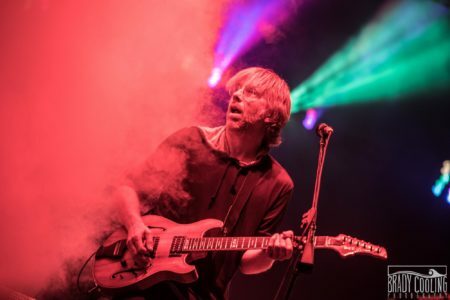 Trey Anastasio being smoked out in a yin and yang of smoke and open space during their song “Steam” at Lockn Festival. His facial expression says it all and the red smoke from the lights on his body as well. Such an animated musician!